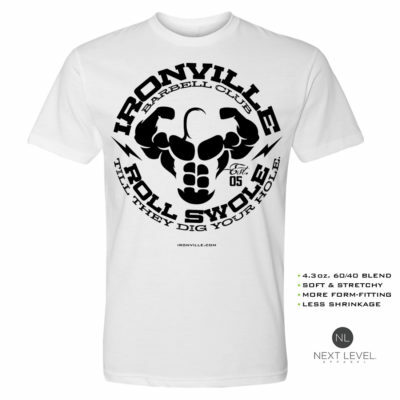 Behold, the Ironville Gym Snake – Where Weakness Fears To Tread. This venom toting cobra design is a reptile to be remembered. 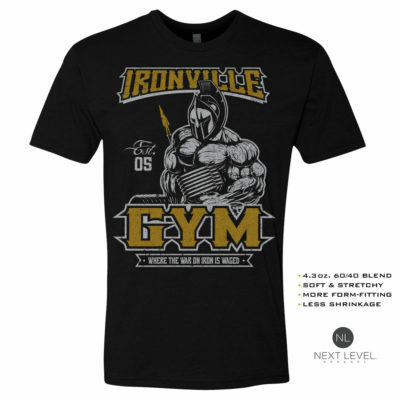 Experience maximum comfort with this soft blend t-shirt from Next Level Apparel.